Place is important to me as a writer. My first book, a collection of short stories entitled ‘The Village‘ is set in a rural English village not dissimilar to the one in which I grew up. 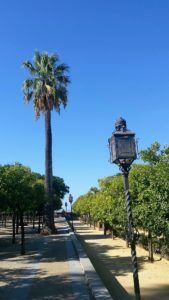 My second book, the adventure story entitled ‘Reconquista‘ is set in Jerez de la Frontera ( in the 13th century, admittedly ) where we have a home. I did not realise it when I started writing, but place or location is an important aspect of and inspiration for my writing. So I’m particularly pleased to be involved, albeit in a peripheral way, with ‘Story Places’ the research project of Dr Verity Hunt, Research Fellow of Southampton University’s English Department, together with Margaret Adjaye of Upper Norwood Library. The Library – pictured, right – is a ‘jointly funded’ organisation, the building is run by a trust organised by local people when the funding for the 116 year old Library was withdrawn, but the books are supplied by Lambeth. So what is ‘locative literature’? It is literature aligned to and often inspired by place. Imagine reading a story on your smartphone that unfolds depending on your location: pages pinned to bus stops, trees and street corners unlock as you explore a real landscape. 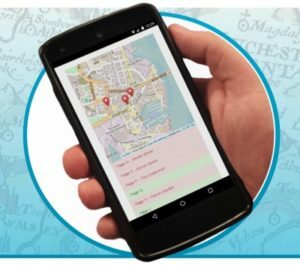 Described by the project as ‘part-treasure hunt, part-walking tour‘, the new digital story form known as ‘location-aware’ or ‘locative’ literature does exactly that. The project is looking for local writing talent to help tell the stories of Crystal Palace Park. Upper Norwood Library is hosting a FREE creative writing workshop on the weekend of 22-23 April 2017. The objective is to create location-aware stories, working with the StoryPlaces team and a selection of the best stories will be added to the StoryPlaces web app and launched to the public at the Overground Festival. There will also be a display of writers’ work in Upper Norwood Library. It’s a fascinating subject. It has the potential to enable people, who might never have thought of becoming writers, to become story tellers. Place certainly inspired me, setting my imagination running and, eventually, leading to a host of characters and situations in ‘Reconquista‘. Now Upper Norwood would-be writers could do the same in Crystal Palace Park. N.B. I wonder if I could use the app in Jerez? I’ll have to discuss it with Verity. So the Storytelling tent will be full of place-based storytelling on 17th June, with local group, the Penge Storytellers joining in too. It’s also hoped that the Crystal Palace maze can be used as the basis for a story-walk, another form of locative literature, for younger children. Funding permitting, the arts company, Fantasy High Street, will draw upon facts and anecdotes, stories, about the park to create a series of characters hidden in the Maze. These will have a fantastical element, relating them to fairies or woodland sprites suitable for family audiences and particularly young children aged 5-8 years old. Each child will be assigned to a ‘tribe’ on entering, which will shape the kind of experience they have, as well as teaching them about identity and belonging. They will be given an adventure book and at the end of each page they are prompted to make a decision – turn left or right, talk to character or run away, look for an object or carry out a task. Not dissimilar to an analogue form of the app used in StoryPlaces. 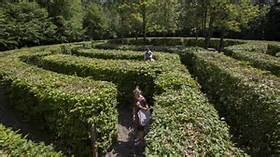 As their journey proceeds they will encounter performers dressed as the various characters who will, ultimately, help them solve clues to complete a final task at the centre of the Maze. Let’s hope we get the funding needed for this. I wonder what the ‘genius loci‘ is for the Park? 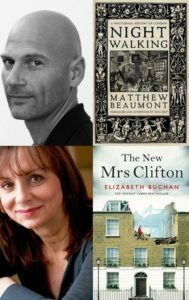 I was part of a discussion about the genius of place during last year’s Clapham Literary Festival with historian Dr Matthew Beaumont and celebrated novelist Elizabeth Buchan. We decided that Clapham’s genius loci was active, positive, dissent. And Crystal Palace? You can read more about that discussion below. This entry was posted in Culture Vulture, London, Writing and tagged History, London, Writing & publishing by juliej. Bookmark the permalink.